(also known as Chanukah) is a Jewish eight day celebration that commemorates the rebuild and reclamation of the Jewish temple over 2500 years ago. It is also referred to as the Jewish Festival of Light and it takes place from 24th December to 1st January. An important part of Hanukkah is the nine branched Menorah, where during each night of celebration, a new candle on it is lit until all eight of them are burning, and the central one is used to keep all 8 burning. Here, we have made our own Menorah to celebrate Hanukkah with, and you can make one too by following these simple steps. 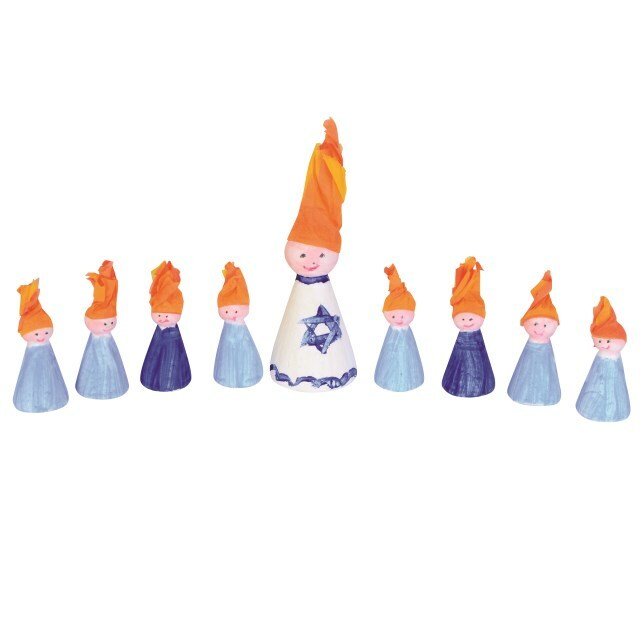 This is an activity that allows the children to understand more about Hanukkah and how Jewish people celebrate these wonderful eight days. 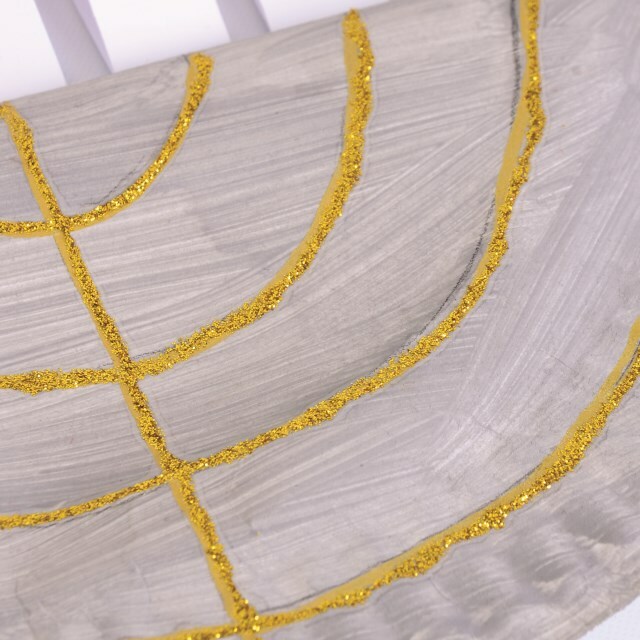 Cut your paper plate in two equal halves then paint them both on one side and once dry, draw a curved pattern on both painted halves (similar to what you see in the image). Follow along these pencil lines with a glue glitter pen. To create the nine candles for the top of your Menorah, vertically cut a sheet of card into nine thin equal strips, fold each in half then cut a triangle in the top to create a hole. 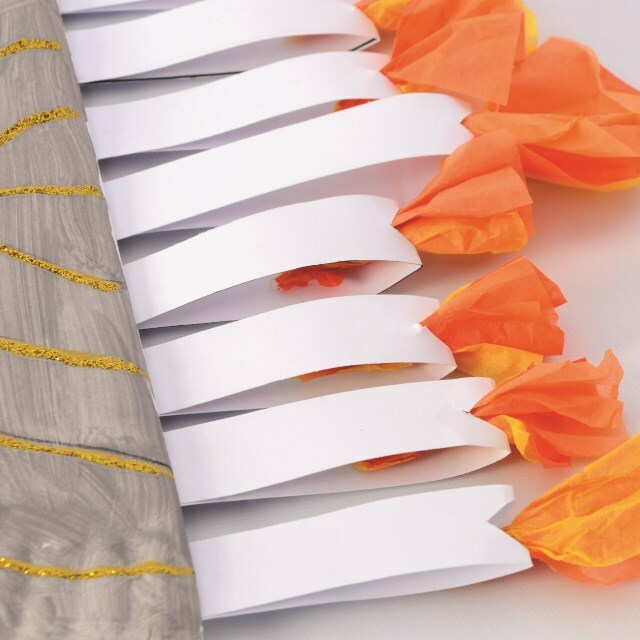 Cut small rectangular shapes from both colours of tissue paper, twist the ends together of both the orange and yellow and slot in the holes at the top of your ready-made candles. PVA these to the unpainted side of one of your plates. 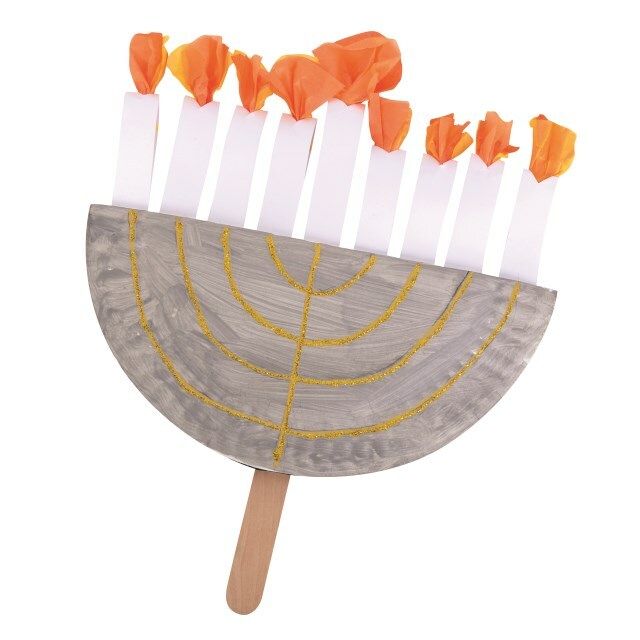 Similarly to the candles, glue a lollipop stick to unpainted side of one of the plate halves, then stick the two halves together back to back to finish your Menorah. Here we have also made this Menorah people display. 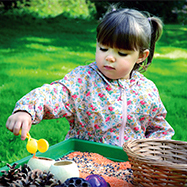 We have taken some of our people cones (8 small and 1 large) and have painted them and given them little faces. 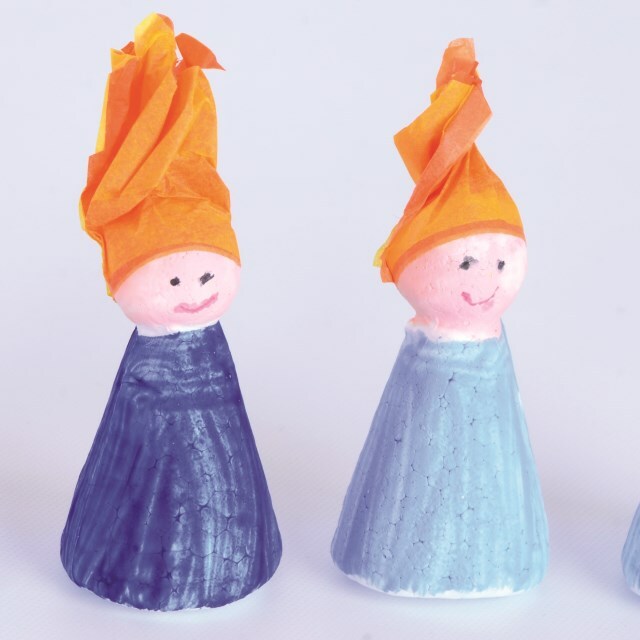 Tissue paper has been shaped on their heads to resemble hair/the Menorah candle flames.